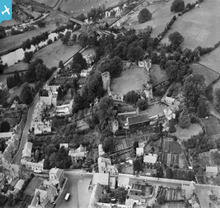 [WPW032535] General view of Griffithstown, oblique aerial view. 5"x4" black and white glass plate negative. 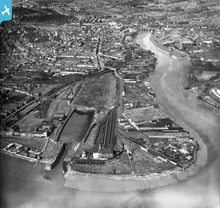 [WPW055470] View of Newport showing town dock and warehouses, oblique aerial view. 5"x4" black and white glass plate negative. I've been looking for a photograph of Alexandra Dock, Newport. Would this be it? It says town dock but no name or is Town Dock the name? 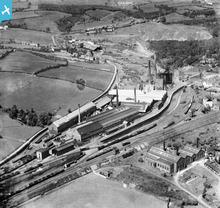 [WPW032472] View of Guest Keen & Nettleford, Cwmbran Works, oblique aerial view. 5"x4" black and white glass plate negative. Guest Keen & Nettlefold Foundary Cwmbran. 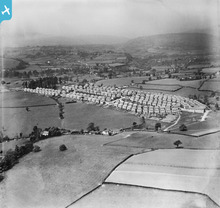 [WPW029911] General view of Usk, oblique aerial view. 5"x4" black and white glass plate negative. 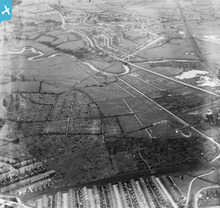 [WPW041238] View of Gaer housing estate, Newport, oblique aerial view. 5"x4" black and white glass plate negative. 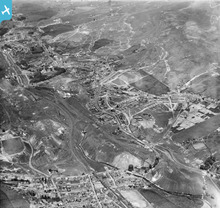 [WPW032434] View of new housing at Aberbargoed, oblique aerial view. 5"x4" black and white glass plate negative. 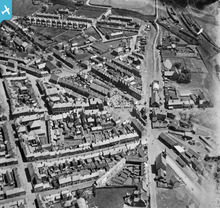 [WPW032536] General view of Rhymney, oblique aerial view. 5"x4" black and white glass plate negative. 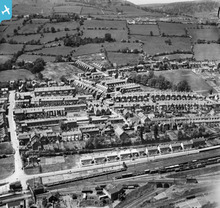 [WPW032435] General view of Tredegar, oblique aerial view. 5"x4" black and white glass plate negative. 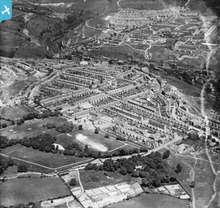 [WPW032441] View of Brynmawr, oblique aerial view. 5"x4" black and white glass plate negative. 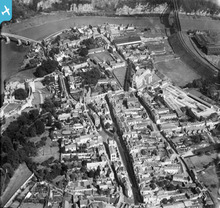 [WPW029261] View of Chepstow showing town, St Mary's Church, Chepstow Bridge and tubular suspension bridge., oblique aerial view. 5"x4" black and white glass plate negative. 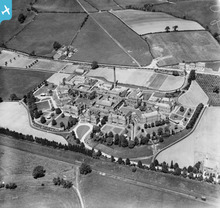 [WPW032467] View of Newport Mental Hospital, Caerleon, oblique aerial view. 5"x4" black and white glass plate negative. 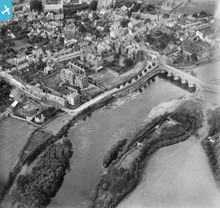 [WPW029904] General view of Monmouth, oblique aerial view. 5"x4" black and white glass plate negative. 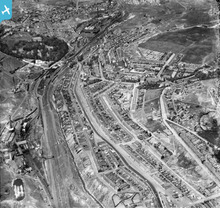 [WPW052645] View of Cardiff showing view of Rumney and allotment gardens, oblique aerial view. 5"x4" black and white glass plate negative. 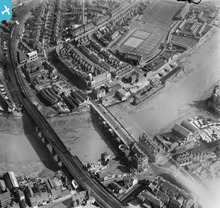 [WPW029310] View of Newport showing bridges and Rodney Parade, oblique aerial view. 5"x4" black and white glass plate negative.